Do you know what to do with the wide range of horse emergencies? We know that if you own a horse there are going to be horse emergencies. How do you clean a wound? What is the proper way to take your horse’s heart rate? 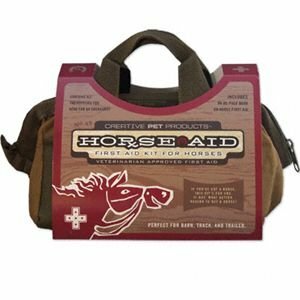 What should every equine first aid kit contain? These are the type of questions you need the answers to handle all sorts of horse emergencies. Our local veterinary hospital, Bakersfield Large Animal Hospital, occasionally holds client seminars. We were invited to the most recent one held at a banquet room here locally. The topic was handling horse emergencies and the guest speaker was Dr. Jeff Hall, DVM. Dr. Hall works for Zoetis Pharmaceutical, a veterinary medical supply company. In his systematic approach, Dr. Hall offers some great advice when you are faced with an emergency situation. Dr. Hall also tells us about a new product we should consider including in our horse emergencies kit. Dormosadan® gel is a mild sedative that can be very useful to remove tension from many emergency situations. We hope you find these educational podcasts informative and valuable. I would really love hearing your feedback. Welcome to the Whoa Podcast about Horses and Horsemanship. I am your host John Harrer. Along with my wife, Ranae, each week on the show we talk about some aspect of owning a horse. It could be feeding or supplementation. It could be bits and bridles, tack, or cowboy boots. We cover training problems, or competing in shows. We talk to farriers and horse chiropractors. We talk about movies, books and magazine articles. And, we travel to places we think you would like to take your horse. That’s what the Whoa Podcast is all about. We have well over 90 episodes up now and you can find them all for free on iTunes, with our Android App in the Amazon store, and now Stitcher, or wherever podcasts are distributed. Get the Stitcher app and let us know how it works. It’s Free. You can also find every episode and more about the show at whoapodcast.com. Please take a moment and join our email list. Get in on the conversation with Facebook and Twitter – just look for WhoaPodcast. Thanks you for you support! The Whoa Podcast is independently produced. Your help defers some of the costs of producing, storing, and distributing the show. My mom is a horse owner so I think she could benefit from this article. She has worked as a vet-tech so she should be familiar with general animal care, but I’m sure she would like to have a first-aid kit prepared for emergencies. 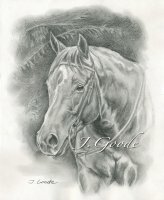 I’ll have to look further into a first aid kit for horses, I think it would make a great gift.